These Tu-sies arrived by international courier (DHL) in a very plain package that carried no indication whatsoever as to the contents inside. The customs declaration simply stated clothing and toys (they arrived with some pacifiers). Again deliveries from OnesiesDownUnder are always very discreet, and the sender's details simply said "Andrew" with no mention of OnesiesDownUnder (ODU) at all which is excellent. You can count on ODU to go to great lengths to deliver their products discreetly. I had to pay a minimal customs charge on this delivery, so that is worth bearing in mind but that was a straightforward task, and I was so excited when the Tu-sies arrived. I had asked for an XL and 2XL to review so that we could review them with Little Rae in and out of diapers. As it turns out the sizing table on the ODU website is very accurate, and we could have got away with just getting the XL. Little Rae is a size 16, and she can wear an XL with a diaper with no restriction to her movement or enjoyment. These Tu-sies are very stretchy, and so I needn't have worried about a diaper making it too tight. Each Tu-sie is available in a range of sizes from XS all the way to 4XL, so there is an enormous range of sizes to choose from. The sizing chart on the OnesiesDownUnder website is clear, easy to understand and very accurate so you can order from them with confidence. The Tu-sies arrive neatly folded in their own plastic pouch, and the first thing that caught my eye was the bright and utterly delightful designs on both. These designs pop out of the material, and they are just so cute. I particularly like the Sweethearts Bow design, I love this shade of red. These Tu-sies are very well finished in great materials. The designs are really bright too. The first thing I did was take them both out of the packages to inspect them both for the quality of their materials and also of the finish, I am a stickler for details. I also had to take some photos of them on a mannequin before letting Little Rae wear them as they would soon get dirty with her playing in them. The stiching and hems are all crisp and clean with neat stitching throughout. The material is excellent quality as with the Onesies I reviewed for OnesiesDownUnder. There is a good deal of stretch in the material, and that will be the addition of 5% Spandex to the 95% Cotton that it's made from. The two designs, Dreamy and Sweethearts, are both crisp, bright and delightful. There are currently three other designs available at ODU, these are Pretty Princess, Simply Sweet and Rainbow Bears. All of these designs also look fantastic, and any Little would look so good in them. The Spandex/Cotton mix is very comfortable to wear as well as being cool as the cotton wicks sweat away from the body well. It has the perfect amount of stretch to let the Tu-sie hug your body while still having room for a diaper. This is important as it allows a Little to move around without restriction. Each features a frilly collar that Little Rae loves, she says that this style of collar makes her feel more Little and she does look cute in them. 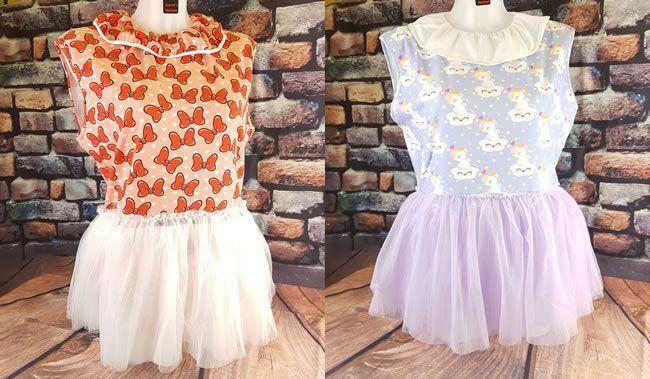 Each Tu-sie features a tutu that consists of five layers of mesh, and this gives them a fun look that makes them great for fantasy play, who wouldn't want to be a cute ballerina? It is the tutu that provides the tu-sies with their distinctive, fun look, and they are a great feature. The crotch area is split for access, and trimmed in a white edging material that is very neat. There are four very strong metal pop studs that are used to secure both edges together. Once clipped together they are very secure which means no wardrobe malfunctions when you are wearing one of these Tu-sies. The crotch area is wide and full so let's just say that it covers everything that should be covered. When fastened over a diaper the studs are just as secure, and the give in the fabric keeps the Tu-sie snug around its wearer. These studs can be fiddly if fastening them on your own as they are so strong so a Daddy/Mommy might need to assist their Little in this task. Little Rae loves wearing both of her Tu-sies and the XL is a perfect fit on her with the 2XL being much looser. The way that the material gives and stretches means that romping around on a bed or the floor is no problem at all even if wearing a diaper. The cotton/spandex material keeps the Tu-sie snug, but it also keeps you fresh when playing. You can wear them for long periods of time without any signs of rubbing or chafing in any area. The pop studs make going to the toilet or having a nappy/diaper changed easy, they also provide quick and easy access if you are in a particularly naughty play mood. The figure-hugging nature of Tu-sies, as well as Onesies, means that the clothing hugs your Little's form, so there is much less likelihood of apparel being snagged on anything while playing. These two Tu-sies have now been worn extensively and had some serious play sessions, and so they have been washed numerous times now. The material and printed patterns show no sign of deterioration at all, they are like new with bright, vivid colours to please the eye. Little Rae is delighted with them for their comfort and also how they make her feel. She loves the fact that simply putting on a Tu-sie sends her into 'Little Space'. So what did my Little Rae think of them? "When I first laid eyes on these Tu-sies, I almost squealed in delight. The designs are amazing, and the pretty bows are my favourite. When I wear one of my Tu-sies, I quickly get into my Little mindset and if anything they make me feel more of a little than just a regular Onesie. I love the tutu and love to pretend to be a ballerina dancing in front of a huge audience. I can wear them for long periods of time, and they don't get uncomfortable at all. It is pretty easy to open and close the pop studs when I need changing or need to go to the loo. 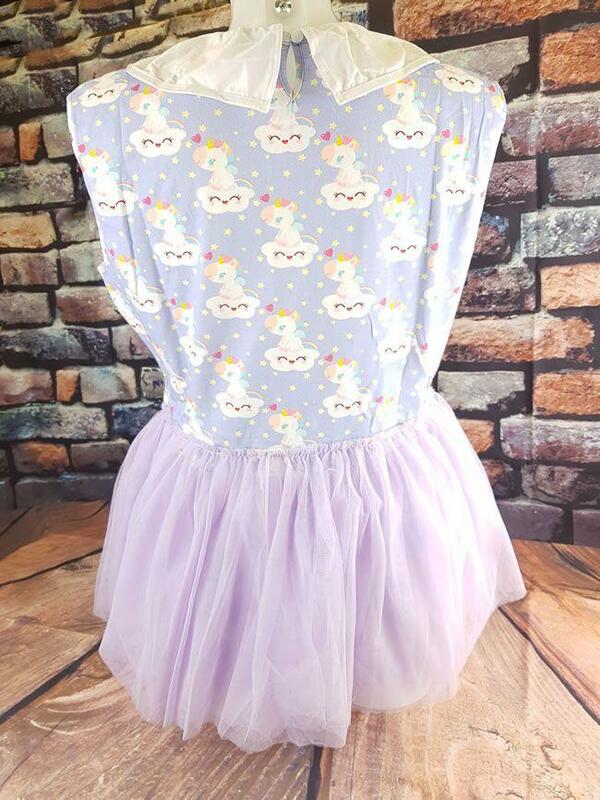 The designs are so vivid and bright I often find myself just admiring them before putting them on, and the Dreamy one with its cute unicorns on the sleepy clouds is lovely. I wear them for play and have even slept in them as they are so comfortable. Everything that I have tried from OnesiesDownUnder has been amazing, and they are a fantastic company. I look forward to seeing what new designs they bring out next. These Tu-sies are ideal for anyone who enjoys ABDL or DDLG play, and I love them." We have a big photo shoot coming up shortly to display these fantastic Tu-sies on Little Rae correctly. I have been unable to do any pictures of her in them due to other commitments but check back soon to see her in them in all her glory. However, until then, you will have to be satisfied with these quick screen caps from Skype of Little Rae enjoying her Tu-sies. I wish I could show her face in the pictures as her grin runs from ear to ear, but I have to preserve her privacy for obvious reasons. Yet again OneseiesDownUnder have come up with a quality product that was not only fun to review but has actively helped my Little explore her little side. I love the quality of their products, the Onesies, Pacifiers, Bibs and Retainer Clips have all been bright, fun and excellent quality. Each is performing a useful function as well as helping a Little get into the right mindset. That is important as there is a lot of rubbish in the marketplace, especially on the likes of eBay and Amazon. 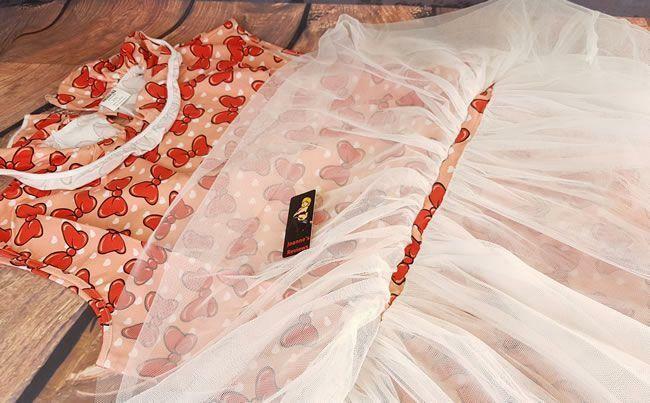 When you buy a product from OnesiesDownUnder you can rest assured that will take care of your order discreetly, quickly and you know that what is arriving is going to be excellent quality. I urge you to check out their website and their stunning designs of Tu-sies and Onesies as they are second to none. I have absolutely no problem in giving them a very strong recommendation. I was sent these Tu-sies by OnsiesDownUnder and I would like to thank them for giving me the opportunity to review it for them. 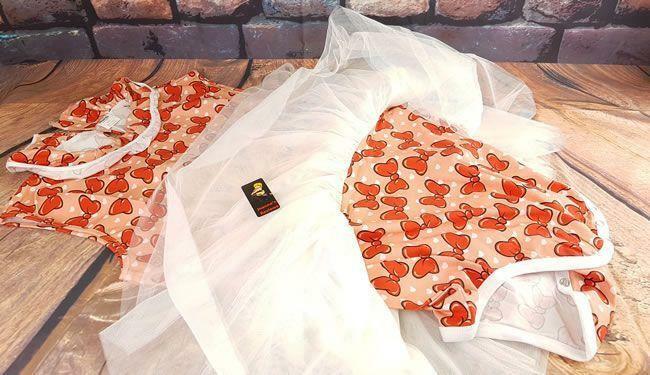 Grab one or more of these fantastic printed Tu-sies from OnesiesDownUnder for just $49.95 AUD (£28.73) which is fantastic value for money. 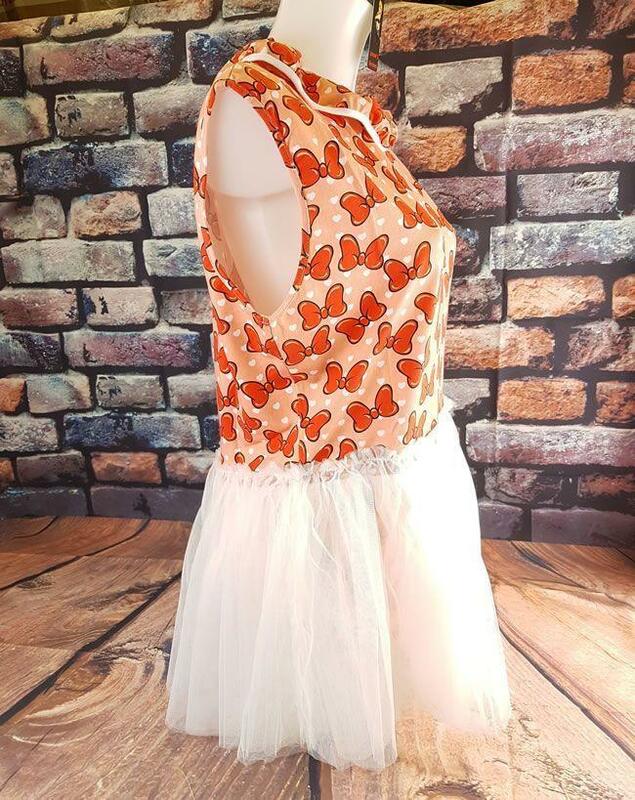 The designs are beautiful and with five different ones to choose from you should find one that your Little side will love. Check out the fantastic designs of their Onesies, Tu-sies and Pacifier Clips as well. I have no problem in giving OnesiesDownUnder a huge thumbs up and a strong recommendation for anyone in the DDLG or ABDL scenes. Little Rae is delighted with them and that means I love them too.